“Regulated access to Transcendent Compounds for religious purposes, as required under sections 7 and 14 of the Victorian Charter of Human Rights and Responsibilities Act (2006)”. It is not my intent to upend drugs law as we know it, although this would almost be inevitable once the general public come to understand that the Emperor has no clothes! Those unfamiliar with my writings may not have heard of “Transcendent Compounds” . Briefly, Transcendent Compounds are those Entheogens which are non-toxic, non-addictive, and psychologically safe in an appropriate dose, set and setting. It includes DMT, Psilocybin, Mescaline and LSD, but excludes others, as cannabis and ketamine. It also reflects the simple fact that this campaign for religious freedom is difficult enough without continually getting sidetracked on issues of toxicity, addiction and psychological harm. After more than four decades of increasingly strident and unhinged propaganda, many people are viscerally afraid of these substances and “non-addictive, non-toxic and psychologically safe” is a soothing mantra that can easily be repeated until the message finally sinks in. From this it can be clearly seen that not only does every Victorian enjoy significant legal rights to practice their religion, but they retain this right, irrespective of whether they are part of an organised religious establishment. Nobody needs to join “my”, or anybody else’s religion in order to have their religious freedoms recognised under law. A key phrase here is “can be demonstrably justified”, as it is clear that this puts the justification for any restriction, on a right contained within the Charter, onto the Government. It is the Government which has to justify maintaining a ban, not I for breaking it. Not only this, but any justification needs to be “demonstrable”, which in this case I take to mean that the Government would need to justify their prohibition using science (and again and again and again), rather than the usual resort to distortion, lies and logical fallacies which are the main justification for the never ending War on Drugs. There are two factors which make this position untenable. The first is the fact that by definition, Transcendent Compounds are “non-addictive, non-toxic and psychologically safe”. In other words, they are the gold standard of “community health and safety”. The contrast is stark: Alcohol – the current benchmark for allowable substance harm in the community – is highly addictive, highly toxic (it is a disinfectant!) and psychologically dangerous, being reliably linked to aggressive and anti social behaviours, including nearly half of all Australian murders and possibly hundreds of thousands of assaults each year. In Victoria alone, it is responsible for over 25,000 hospital admissions. Furthermore, it kills an estimated 3000 Australians each year. Frankly, any move away from alcohol and towards Transcendent Compounds should be encouraged and applauded by any sane society. The second untenable aspect of the Government’s position relates to the fact that the current ban is black and white and does not acknowledge the legitimate religious uses of these substances. It confuses “use” with “abuse” and in doing so fails to conform to section 7.2(e), which requires that the Government adopt “any less restrictive means reasonably available to achieve the purpose that the limitation seeks to achieve”. My lobbying of the Government has been specifically aimed at obtaining regulated access to these compounds for religious purposes. I have no intention of arguing for these compounds to be legal in the same way as alcohol or tobacco, nor do I believe that they should be legal in the way that these are . One could debate whether a specific substance is in fact worthy of being regarded as a “Transcendent Compound”, but if the Government wishes to make the case that the substances that I have identified as “Transcendent Compounds” are not as safe as I have claimed, they need to do so using peer-reviewed research and scientifically valid data. This is highly unlikely, given that decades of research have consistently demonstrated that these compounds are safe, especially when consumed within regulated frameworks. As such, it is clear that in maintaining a prohibition against the use of Transcendent Compounds, the Victorian Government is in fact in breach of its own laws, and needs to be held accountable for this in Victoria’s courts. Caveat: This Law is not a “Get Out of Jail Free” card. Sections 29, 32 and 36 of the Charter make it abundantly clear that the provisions of the Charter do not in themselves render Victorian Law invalid. As such, until the Drugs, Poisons and Controlled Substances Act (1981) is explicitly altered by the Victorian Government, it will remain a crime to use Transcendent Compounds for any purpose. The benefit of the Charter is to provide a way to force the Victorian Government to acknowledge in a court of law that they do not have any “demonstrably justifiable” reasons for impinging on the religious and spiritual freedoms of Victorians. (b) create in any person any legal right or give rise to any civil cause of action. 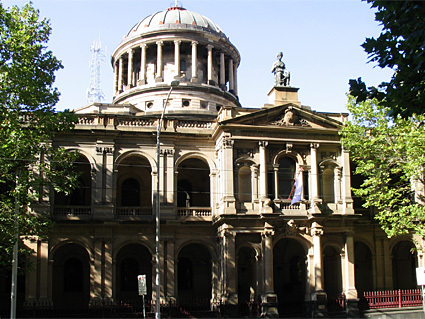 This means that even if a Declaration of Inconsistent Interpretation is handed down by the Victorian Supreme Court, the person charged may very well still be found guilty, and sentenced according to the penalties laid out in the law. Furthermore, Section 37 of the Charter provides six months from the receipt of the Declaration for the relevant Minister to issue their written response to the Declaration. At any stage, the Victorian Parliament would be well within the law to simply use the “Override Declaration” powers contained within Section 31 to simply exclude the Drugs, Poisons and Controlled Substances Act (1981) from the Charter, thereby maintain the status quo. Doing so in order to get around an adverse finding in the courts would be embarrassing for the Government, it might be considered politically expedient. It is important to note that this legal defence is not the sort of thing that just anybody can use after they have been charged with drug offences. Unless a person is able to demonstrate a history of the spiritual use of Transcendent Compounds they will likely just be regarded as a recreational user and subject to the full force of the law, irrespective of what claims they might seek to make regarding religious, or spiritual use. In this situation, under Section 33 of the Charter, the case is unlikely to even make it to the Victorian Supreme Court in the first place. As an aside, I and perhaps the whole Entheogenic community would be really annoyed if some random were to attempt to use this defence, make a mess of it and ruin things for everybody else. *My discussion here relates specifically to the Victorian Charter of Human Rights and Responsibilities Act, but applies equally to legislation that uses the same wording, such as that found within the Australian Capital Territory and the Canadian Constitution. South Africa’s Constitution also contains similar language, and I expect that many jurisdictions will find that they have similar responsibilities under their own laws.